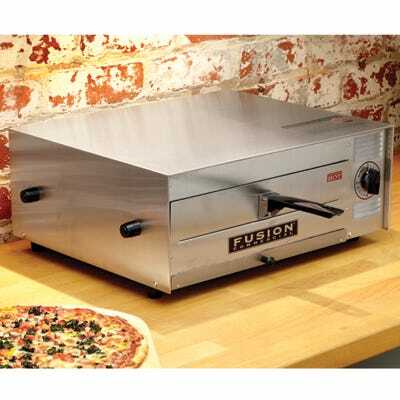 Stainless Steel Pizza Oven makes pizza even better the second time! 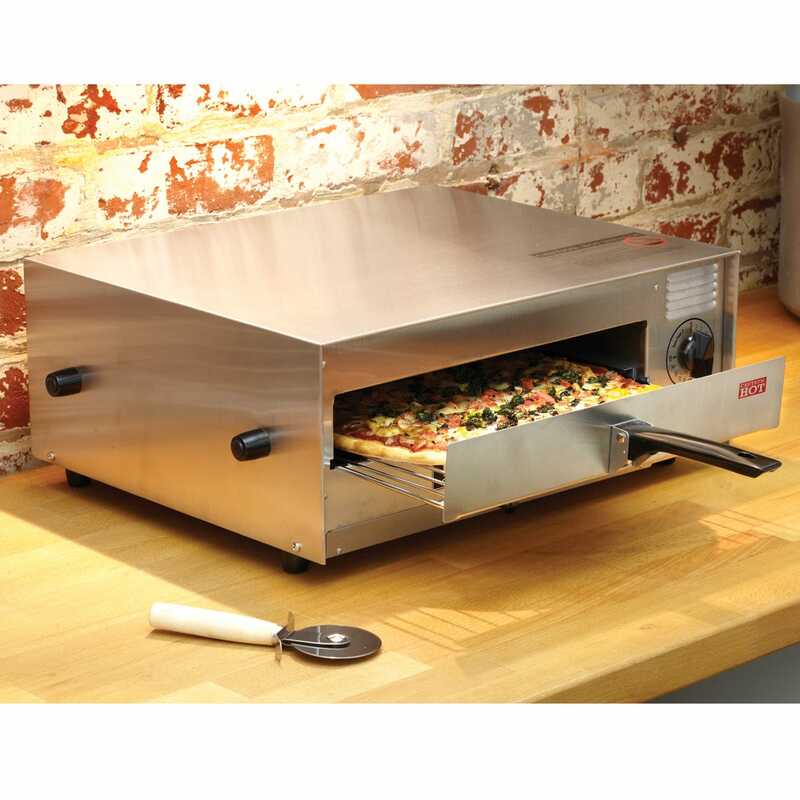 Pizza, Bagel Bites and even Pizza Rolls are served crisp and delicious from a precisely controlled heating environment. The heating elements are close to the food providing quick, efficient cooking. A frozen 12-inch pizza can be served in just 15 minutes without pre-heating. Designed for commercial use, it will last for years. Spacers ensure sufficient airflow around the sides and back. Measures 18 inches by 15 inches—7 inches high. Weighs approximately 20 pounds. Not for self-rising crust pizza's.